Fans of the preeminent dating/hookup simulator, Leisure Suit Larry have had the opportunity to be disappointed twice in the last few months. 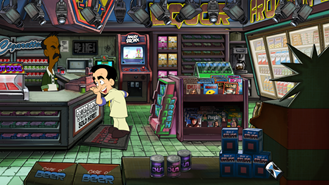 Leisure Suit Larry: Reloaded was supposed to arrive in the Play Store wrapped in cheesy suede back in May. Then it was pushed to late June, but missed that deadline too. 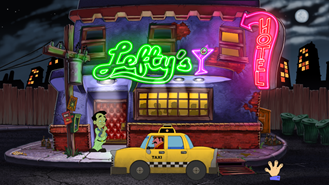 Now at long last the hunt is on – Leisure Suit Larry: Reloaded has been released on Android. 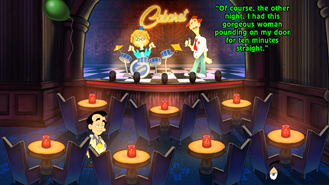 The Leisure Suit Larry is a classic "adult-themed" point-and-click adventure with the goal of getting Larry some affection from impressionable young ladies. This game is a remake of the original Leisure Suit Larry, but the graphics and dialog have been tweaked to be more modern. Not too modern, though. Leisure Suit Larry: Reloaded was launched on Kickstarter last year and raised over $650,000. The developers only asked for $500,000, so that should give you an idea of how into this game some people are. This is a big 476MB download, and it's free. It looks like the first level is free, but it's $10 to unlock the full game. That's in-line with expectations. 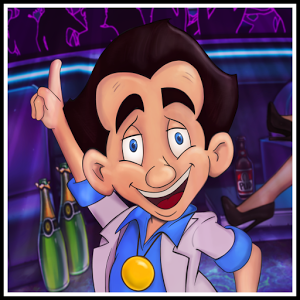 Replay Games found an error in Leisure Suit Larry’s Android version that went live yesterday and as a result have pulled the game down. Replay is hard at work to correct the issue and at this time there is no confirmed day for when the Android version will now release, but we’ll keep you updated once we know more.